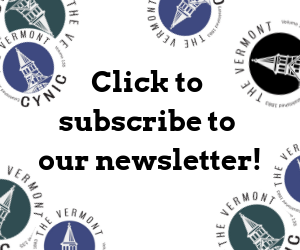 “Vantage Point Loves You,” a benefit for the University of Vermont literary magazine took the Metronome by storm on Feb. 26th. Barring the flowing bar and the hardwood dance floor, UVM turned the Metronome into simply another venue for a college party. UVM students screamed, hugged, danced, caught up, and shot the breeze as they often do on Thursday nights. While most of the crowd of 200 was more interested in having a good time than listening to local tunes, Vantage Point brought in the best of upperclassmen bands for their event. Bluegrass stalwart Goldtown began the night, followed up by soulful, harmonious Buzzjar, Southern tinged Power Kegs and the hardnosed Feverbreakers. As most of the members of the bands’ last semester begin to wind down, they all had similar feelings. “My dream is to play in a rock and roll band. I don’t want to sit back and watch,” lead vocalist and guitarist Johanna Hiller of Buzzjar sung. The melancholy continued with the Power Kegs, a starry eyed trio reminiscent of My Morning Jacket and Band of Horses. The singer-songwriter driven tunes akin to a night of poetry and introspection suited the theme of the night well, although the atmosphere at the Metronome was more of an end of the week release sort. “We put this event together in hopes that proceeds would help printing and to heighten visibility of Vantage Point,” co-editor Robert Downey said. “One of the inadequacies of a literary journal is that you can’t print music, or movies even. Because of the inability of the medium, we had the benefit to promote other local culture,” Downey said. And, the college art and music culture is closely linked. “Mike Wheeler of Goldtown published works in every issue of Vantage Point while he was at UVM. And Johanna Hiller is pretty predominantly featured in the last issue,” Downey said. The other co-editor, Caylin Capra-Thomas, could not have better stated the success of the event at the end of the night.